Our K/1 teachers love to introduce students to different children’s authors. It is fun to link the classroom work with the art room. 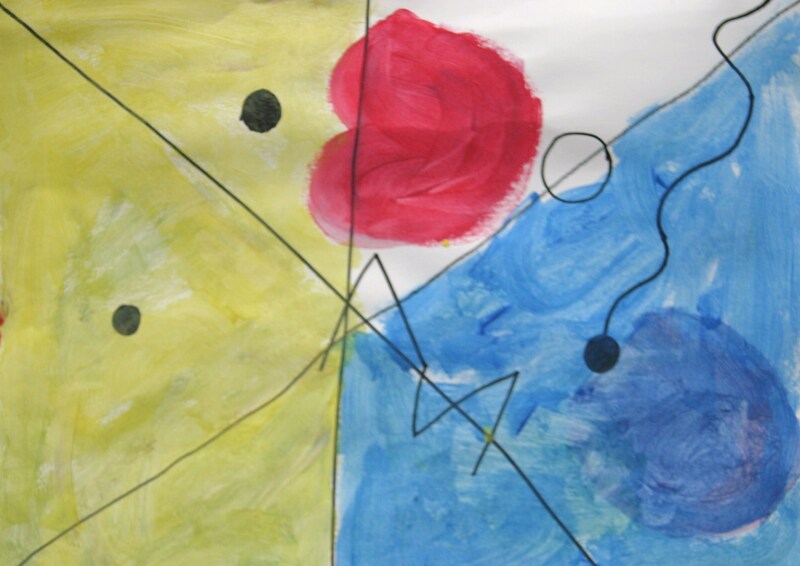 In this case, students created images of birds using donated gray paper, crayons and paper scraps. 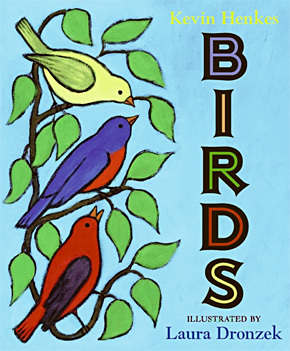 Classroom teachers read the story Birds written and illustrated by Kevin Henkes to the students. They came into the art room and created images based on the story. I did show them how to draw a tree so that it was off the page. If I were to do this again, I would simply show them images from the book and talk with them about the shapes they see and have the students create their own place for their birds to be rather than just putting them in a tree. I really enjoyed seeing the students who did their own version of the birds with different shapes, different wings and even the ones who were flying. 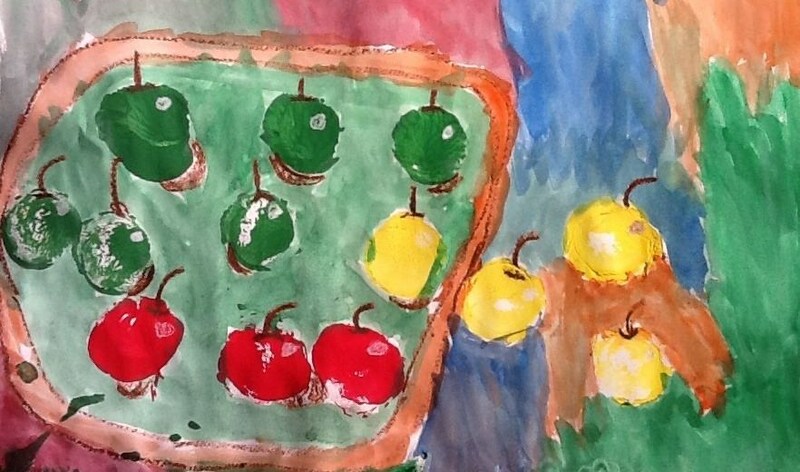 This is a great lesson that involves printmaking, shadows and watercolor painting. 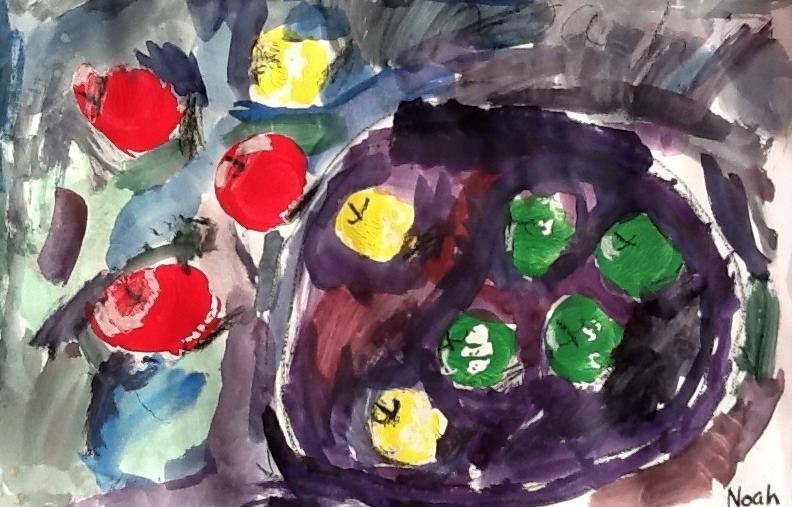 Students used bottle lids and tempera paint to create prints that resemble apples. 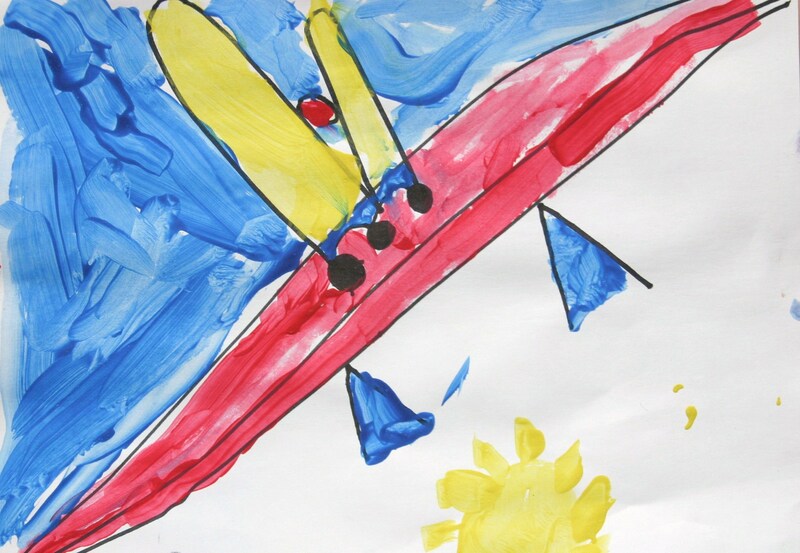 We used yellow, green and red paint. 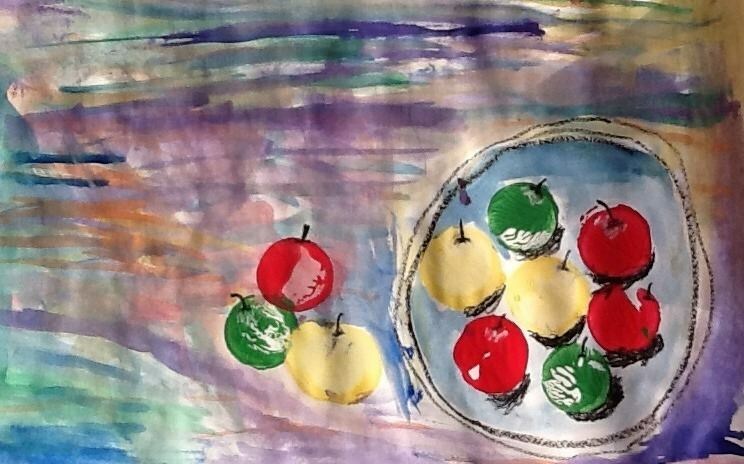 After the prints were dry, they drew a circle around some of the apples to create a bowl. They added shadows and stems with oil pastel. They then added watercolor for the table, bowl and background. This lesson has been around for ages. I have seen it called many different names over the years with variations on the same theme. The results are always completely different from student to student. 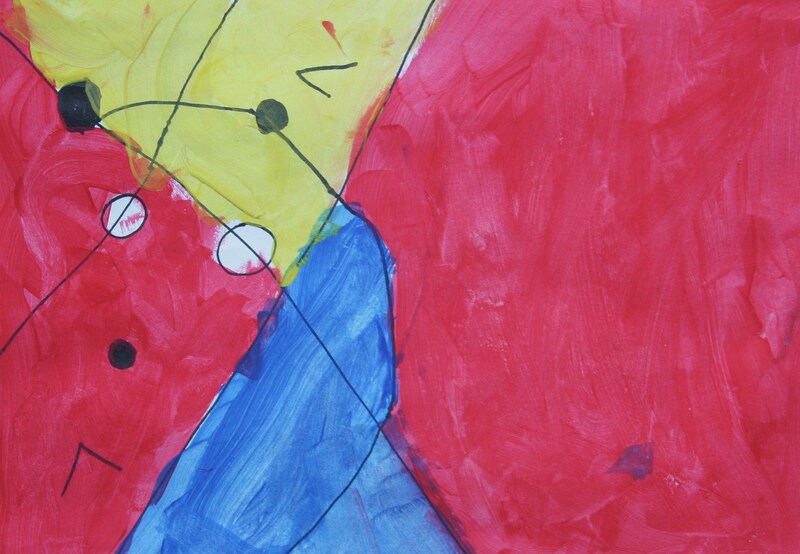 I do this lesson at the beginning of the year to introduce line and primary colors. The idea is that you give the class a set of instructions. They follow the instructions and the drawings are created. Once complete, students fill them in with color. Each time I do this lesson, I change the instructions. Instructions would be something like: draw 2 straight lines anywhere on your paper. One line must extend off the paper. Draw a circle anywhere on your paper. 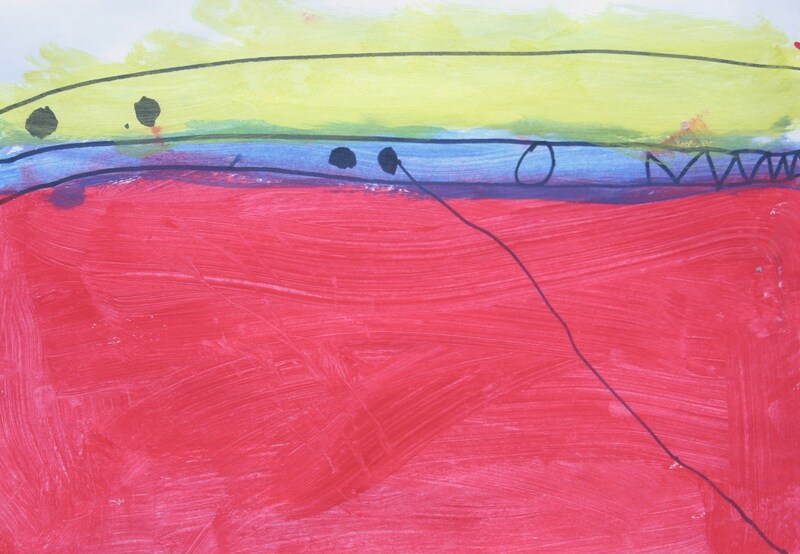 It must touch one of the straight lines, Draw three dots on your paper. Draw a curved line that extends from one of the dots. Draw an angled line. Once they have finished the drawings, they fill in the drawings with paint. Because the K/1 class only has 30 minutes for art, I pre-cut and pre-painted the cardboard. 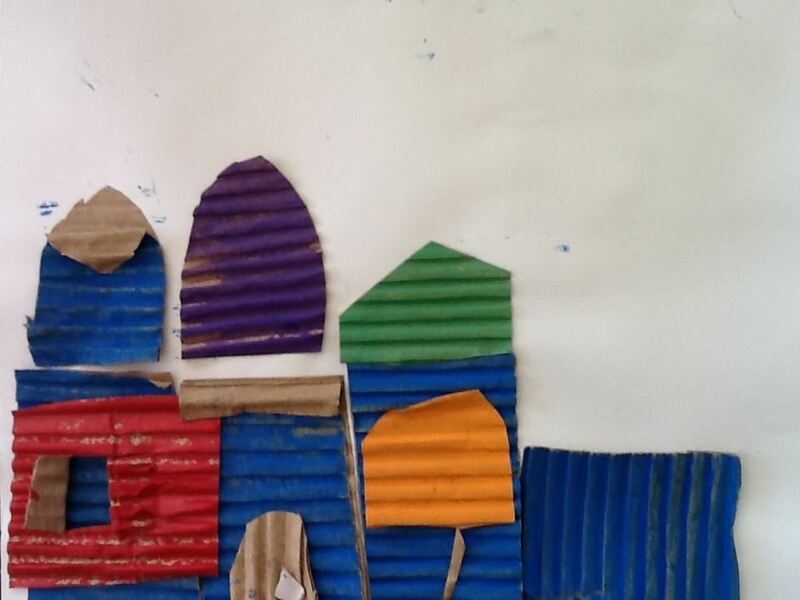 Years ago, a family donated large rolls of corrugated cardboard to the art room. I used that cardboard for this project. I also used scrap paper and donated card stock for students to glue their houses onto. Students looked at pictures of La Boca houses in Buenos Aires and we talked about how colorful they were and how each house had several levels of color and several stories. 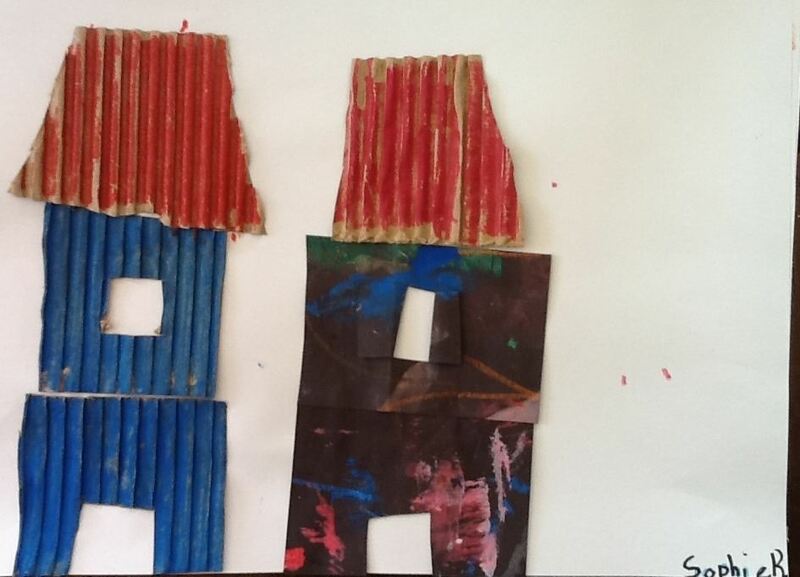 Students were given the colorful cardboard, scraps of paper saved from other projects, taught how to cut out doors and windows and set free to create their houses. they used white glue to glue the cardboard to the paper. My children have loved this book since it was first read it to them. The illustrations are colorful and bright. The surfer slang makes it a fun read. I first read the book to the students. 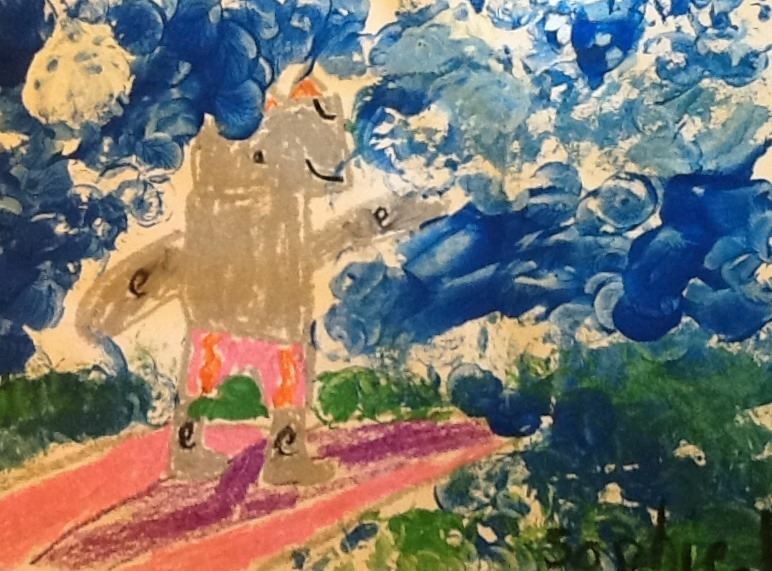 I did a directed drawing of the rhino with them using grey oil pastel. 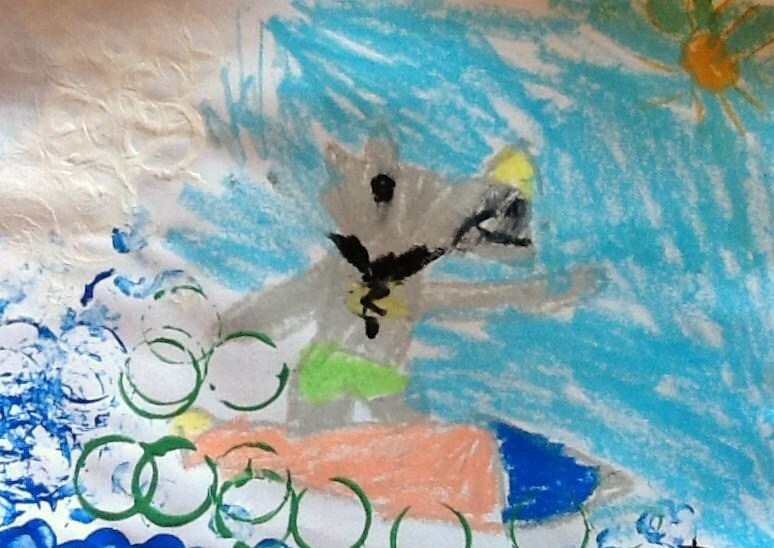 Students colored in their rhinos and added swim trunks, horns, eyes and swirls to the knee caps and elbows. 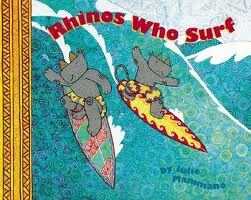 Students drew colorful surfboards under their rhinos. They could add sky and water or use the paint for that. To make the water, students used bottles caps to make circle prints with blue, green and white tempera paint. 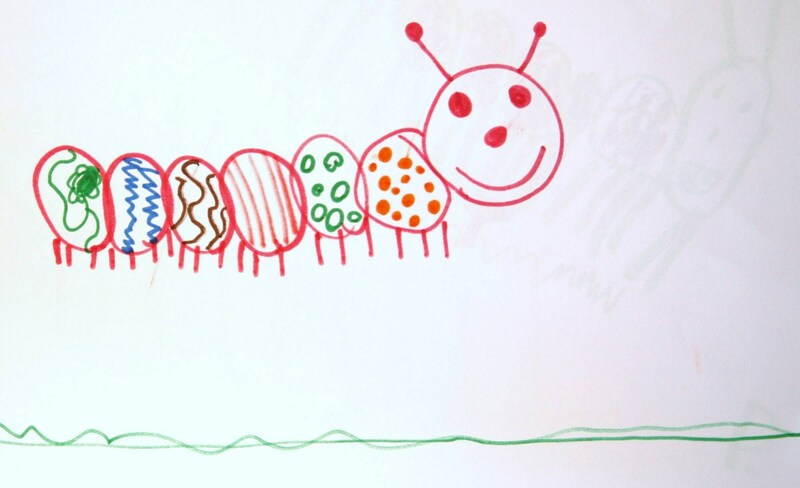 There are so many different caterpillar lessons that teach everything from lines to counting to collage. They are all so fun. 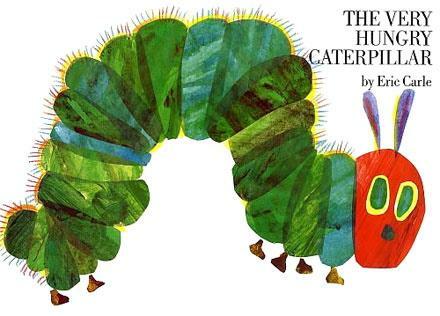 Of course, the natural tie in for this lesson is Eric Carle’s Very Hungry Caterpillar which is a staple in the Kindergarten classroom. The students determine how many segments they want their caterpillars to have and draw that many circles. 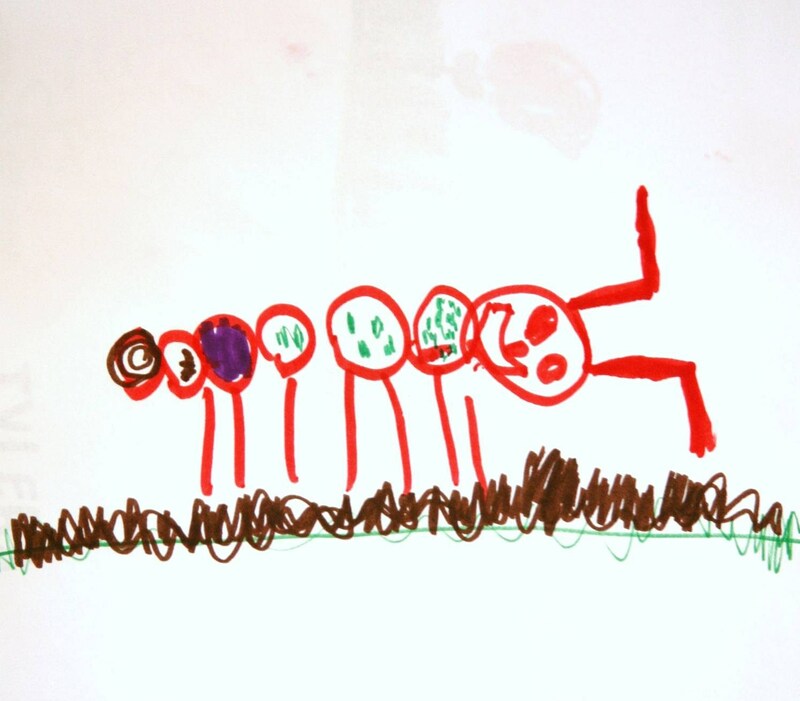 When we do the caterpillar head, we talk about what it needs: eyes, antennae, mouth, etc. Once the head is complete, students fill in the segments with different colors and different types of lines. 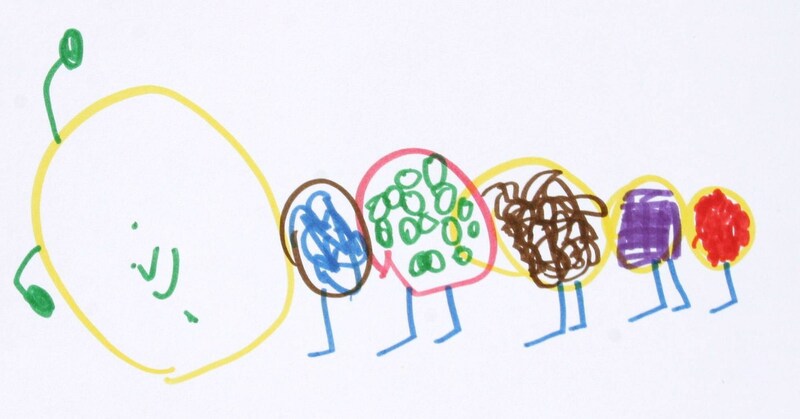 They add legs then they then add ground or grass.